BC Newspaper group is a collection of community newspapers across the province of BC. They wanted a campaign to talk directly to media buyers about their powerful reach to all British Columbians. 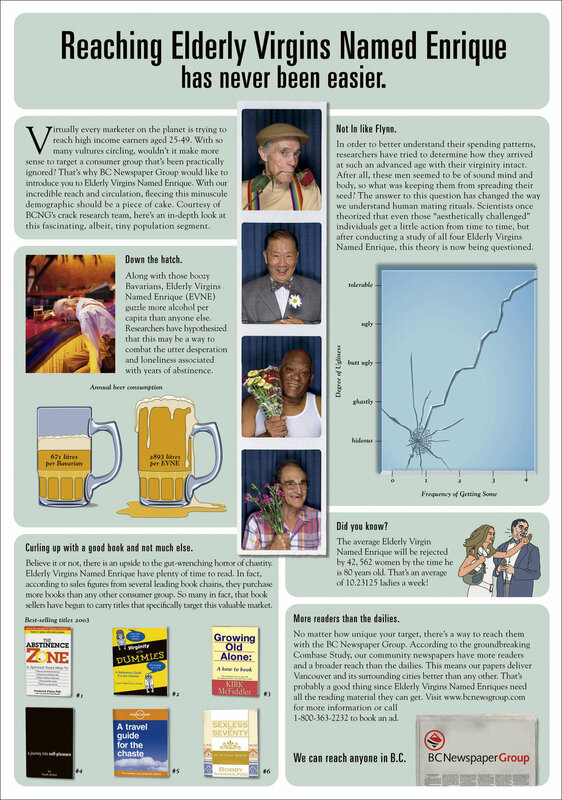 We created a print campaign that took the idea of niche target groups to a satirical level. Media buyers loved it and so did the One Show picking up a campaign Bronze and single merit and winning gold at all the national award shows. The Whistler Film Festival in its 7th year was still relatively new and undiscovered event. They needed a campaign that connected with Canadian & International film-makers and film-goers by increasing the awareness, profile and credibility of the Festival. 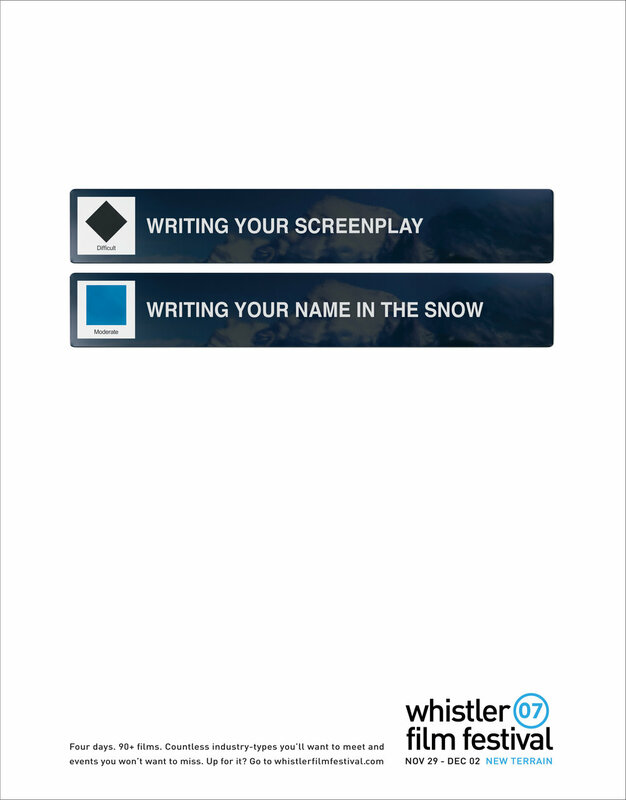 We created a campaign that positioned The Whistler Film Festival as the undiscovered territory or “New Terrain”. It’s an environment as wild and expansive as filmmaking itself. The campaign received 12 million impressions and increased attendance audience and delegates by 15%.